... judging by how he keeps running over to his CODOH buddies - i.e. to a forum he well knows I have been banned from – to mouth off about me. The fellow’s latest hysterical rampage can be witnessed in the CODOH thread NAFCASH throws Dullenkamp a bone, where Gerdes made a fuss about a recent change to his "challenge", already announced in his post # 1034 on the VNN thread Archeological Investigations of Treblinka. What I'm waiting for, the self-projecting hysteric asks? 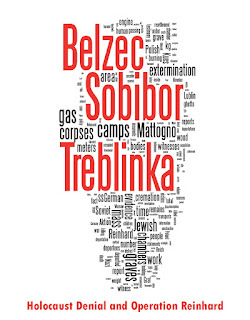 I’m waiting for time and means to go to Sobibor, obtain permission to disturb the ash heap (which I doubt will be granted) and enlist the services of an expert to analyze the human remains and certify that they are in fact human remains (which I also doubt anyone will do for just little me). So waiting for what comes of an assessment of the mass graves’ contents by the SAP and/or for a detailed report by Prof. Kola seems a more promising approach. Even Gerdes’ fellow idiot "Mr. Nobody", who seems to have read this reply, must have realized that official permission to disturb the mound of human ashes at Sobibor (especially to the extent required in order to confirm by expert examination that and how many human ashes it contains) is an issue, judging by his reference to "Permits" in the mouthful of imbecile bluster he produced in his post of Thu Aug 28, 2008 2:47 pm. And of course it’s not like I set my schedules by Gerdes' retarded howling, or have the time and means available tomorrow to travel to Sobibor, apply for a permit that is unlikely to be granted, and enlist the assistance of an expert who can analyze the ash mound’s contents for me, assuming I find someone willing and able to do that. The next post on this CODOH thread contains some babbling about "integrity" from someone who should never even use the word – Jonni "Hannover" Hargis, the miserable coward who lacks even the minimum amount of integrity required to allow open, uncensored debate on his own forum (not to mention ever stepping out of his warm and cozy Führerbunker into the cold world of open debate). Question irrelevant for the purpose of proving mass murder at Sobibor (which has already been proven anyway, see my post # 777 under http://www.vnnforum.com/showpost.php?p=811075&postcount=777 ) and also without relevance in the context of the NAFCASH challenge. d) Present the last part of my answer to his question numbered 14 (which was an additional statement after the quote of an answer to a set of previous questions including the one numbered 14) as my only answer to that supposed block of questions. Four smaller misrepresentations adding up to a bigger one – is that four lies, or is it just one? I'll let our readers decide. Of course the liar has yet to actually answer the question. Seems he's tucked tail agian. What a coward. I couldn’t agree more, as I'm still waiting for an answer to my questions about the Sobibor core samples, which Gerdes has been running away from ever since I first asked them. Needless to say, I won't call up Yoram Haimi just to ask him a question that would allow me to answer Gerdes' question what the archaeologist's opinion about these core samples is. That has time until I talk to Mr. Haimi about further developments of the Sobibor Archaeology Project's work. It's not stinking Gerdes who gets to set my schedules. Not content with the lies in his post of Thu Aug 28, 2008 10:02 pm, Gerdes spent most of his following posts on this thread (when he did not vent his frustration into rambling against the Sobibor Archaeological Project) trying to make believe I had claimed that Prof. Kola had taken samples from the Sobibor ash mound during his archaeological investigations in 2001, in which he discovered seven mass graves in the Sobibor killing area. All that Gerdes achieved by these puny attacks, as so often before, was to show that he's too dumb to understand what I wrote, or then a very clumsy and transparent liar. 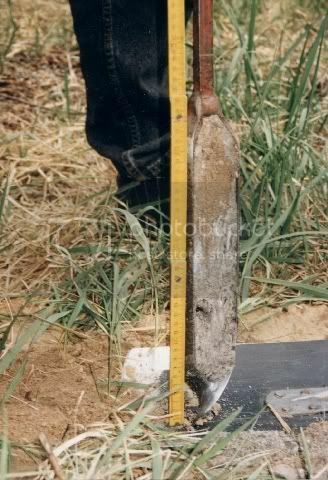 I guess one needs to have as many loose screws inside one's head as Gerdes has to understand my statement quoted in Gerdes’ post of Fri Aug 29, 2008 5:11 pm as containing a claim that Prof. Kola took core samples from the ash mound. a look at my VNN post # 916 is sufficient to expose another example of nonsense that can at best be attributed to the poor fellow’s meager intellect. Question irrelevant for the purpose of proving mass murder at Sobibor (which has already been proven anyway, see my post # 777 under http://www.vnnforum.com/showpost.php?p=811075&postcount=777 ), but of relevance for the "bonus reward" of the NAFCASH challenge. So does the associated documentary and eyewitness evidence proving that Sobibor was an extermination camp and that the bodies of the victims were disposed of by burning them, which is mentioned in my post # 777 under http://www.vnnforum.com/showpost.php?p=811075&postcount=777. were taken from the ash heap, or that any samples were taken from the ash heap at all? 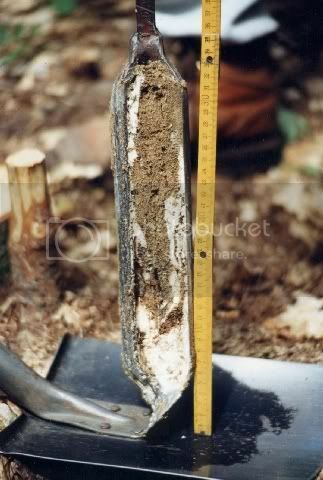 b) so does the aspect of the heap, which has a light-gray coloration whereas the soil of Sobibor – as can be seen on the above-mentioned core sample photographs – has a light brown coloration. 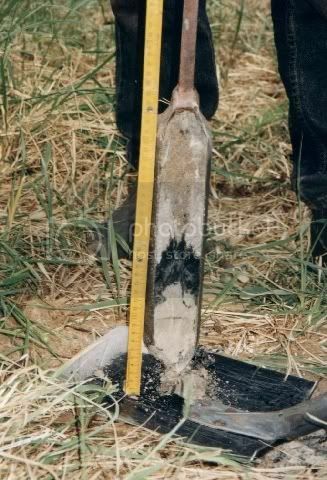 In other words, my argument was that the substance that the mound consists of cannot be the soil of Sobibor, because the soil of Sobibor – as can be seen on core sample photographs taken elsewhere in the camp – has a different color than the substance of which the mound is made. Notice that he's too stupid to understand that the "ash mountain" has been there for years. What the fellow obviously tried to make believe here is that I claimed the mound of human ashes at Sobibor to have resulted from Prof. Kola's excavations in 2001. 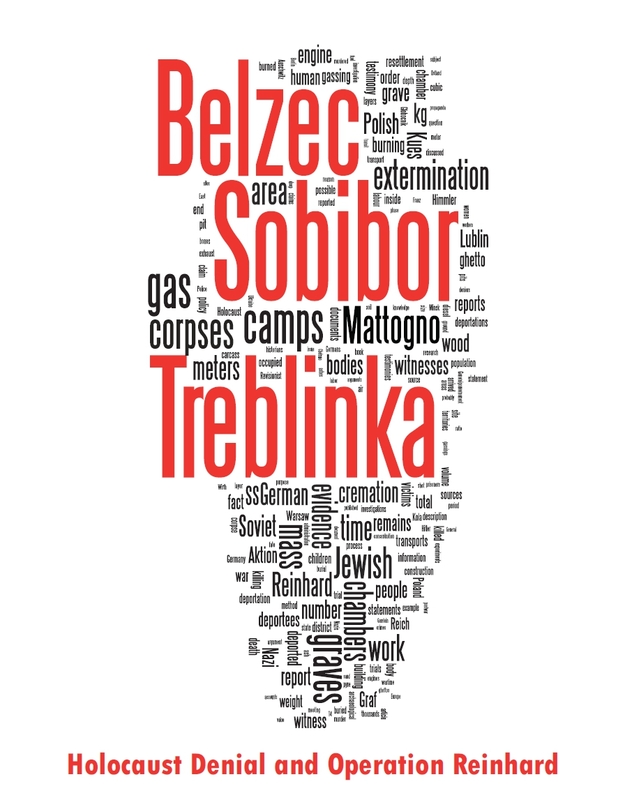 Question irrelevant for the purpose of proving mass murder at Sobibor (which has already been proven anyway, see my post # 777 under http://www.vnnforum.com/showpost.php?p=811075&postcount=777 ), and also without relevance for the "bonus reward" or the main reward of the NAFCASH challenge, as currently worded under http://www.nafcash.com/ . I highlighted the sentence that stinking liar Gerdes’ conveniently omitted in his CODOH post of Fri Aug 29, 2008 12:05 pm. He omitted it because it clearly shows what my assumption regarding the origin of the ashes that make up the Sobibor ash mound was: human ashes brought to the surface by postwar robbery digging were collected by the people in charge of the Sobibor memorial site and put together into this ash mound. In other words, what I’m supposedly "too stupid to understand" (that the ash mound has been at Sobibor long before Prof. Kola’s 2001 investigation) is exactly what follows from my highlighted statement. So much for my having claimed that the ash mound at Sobibor has anything to do with Prof. Kola's 2001 investigation. And so much for the truthfulness of quote-mining Gerdes. Significantly, Gerdes and Hargis are already moving the goalposts. Whereas previously their gambit was "there are no photos", their new gambit is "how do we know that this black ash came from the excavation area and was not brought in from elsewhere?" That's the game they'll play throughout this process. The threshold of proof will be lifted higher and higher and increasingly absurd conspiracy theories will be offered as to how the evidence was produced - "the bone fragments were brought in from another site" or "Sobibor had a mass typhus outbreak and the allies destroyed the documents that describe the epidemic" or "the remains are really German troops that were killed by partisans".